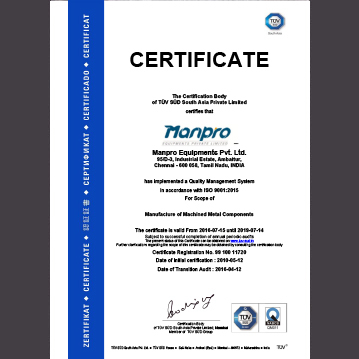 Team Manpro comprises of a highly qualifed group of professionals from management to high-end engineering across all the levels of operations. With training, an on-going and growing culture in the company. our team continues to create a niche with their dedicated and committed approach to the job. 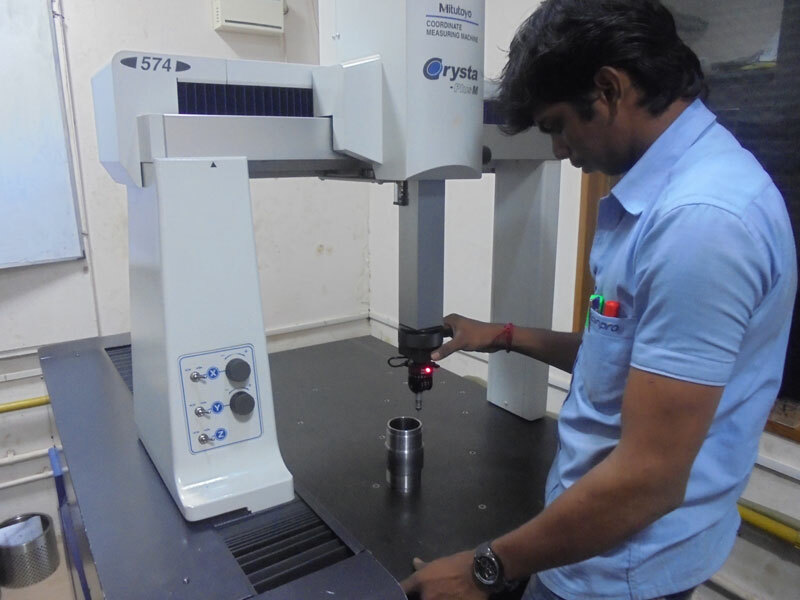 The company is staffed with qualified and professional Quality Control Inspectors to ensure Quality. The company has also obtained the ISO 9001:2015 Certification. 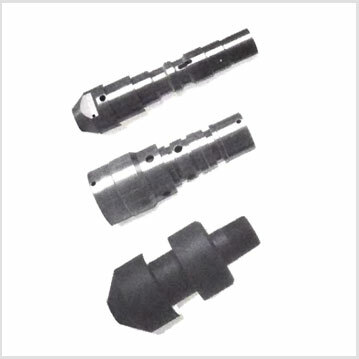 Special processes such as salt bath QPQ nitride, plasma nitriding, Manganese phosphate, Zinc Phosphate, DRY HONE, Solid,(DRY) Flim Lubricant, Glass Bead Peening, XYLAN Coating, Hard facing, Heattreatment, ENC Platting, ceramic coating, Hard chrome plating, grinding, honing and copper coating are done from approved sources and in house operation. © 2014 Manpro Equipments pvt. Ltd. All Right Reserved.